Roughly one month ago, bureau45’s long time favourites Smoove and Turrell released their new album ‘Broken Toys’. And it already received enthusiastic reviews within the media and the music community! It became ‘Album of the week” at Austrian radio broadcast Superfly.FM right after its release, Monkeyboxing says “This has more potential singles on it than a dating website… “ and British daily newspaper The Guardian offered an exclusive summer mix from Smoove & Turrell on their website. Those guys from Newcastle are definitely on their way up! 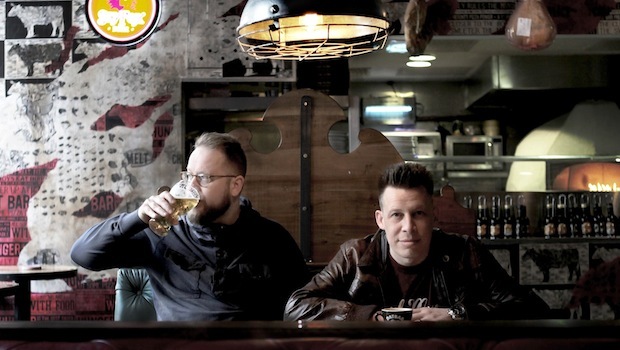 The “Broken Toys” launch was celebrated with a great live gig at the Jazz Café in Camden, London so it’s only natural that the album will be promoted with a live tour starting September 2014. We’re very happy to offer you the entire package for booking: live band, dj set and soundsystem. Please contact us on dates and availability.